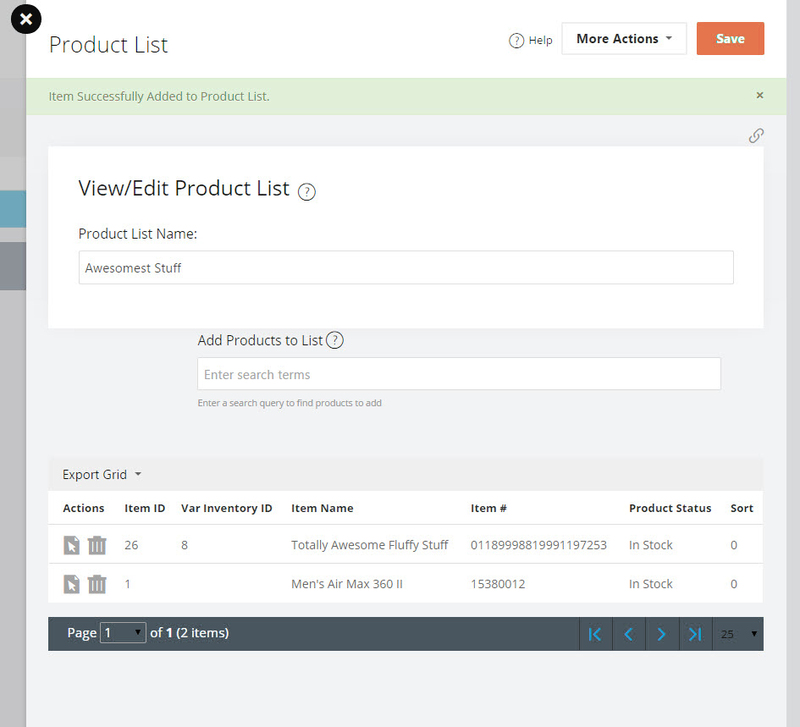 A Product List is a group of products that's displayed using the Product List widget. It's similar to the widgets for Featured Items and Hot Sellers, but you can pick and choose which specific items appear in the Product List. For example, the Hot Sellers widget is automatically populated with your best-selling products and you cannot choose which products appear. 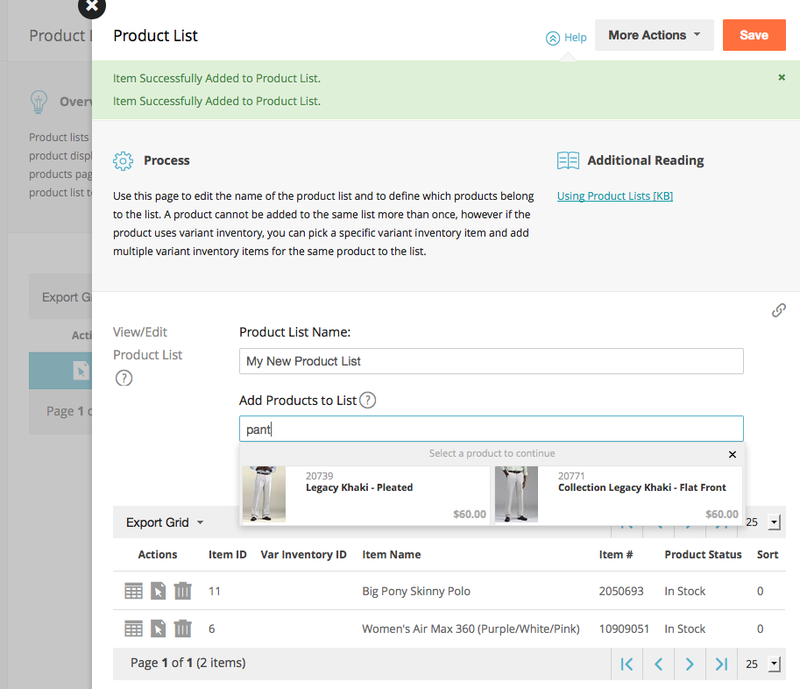 With Product Lists, you can create a fully custom "Hot Sellers" list and pick which products appear, even if they aren't actually your top sellers. If you wish to create a Hot Sellers or New Items list without relying on any factors to trigger the display of the product, a Product List is the ideal option. 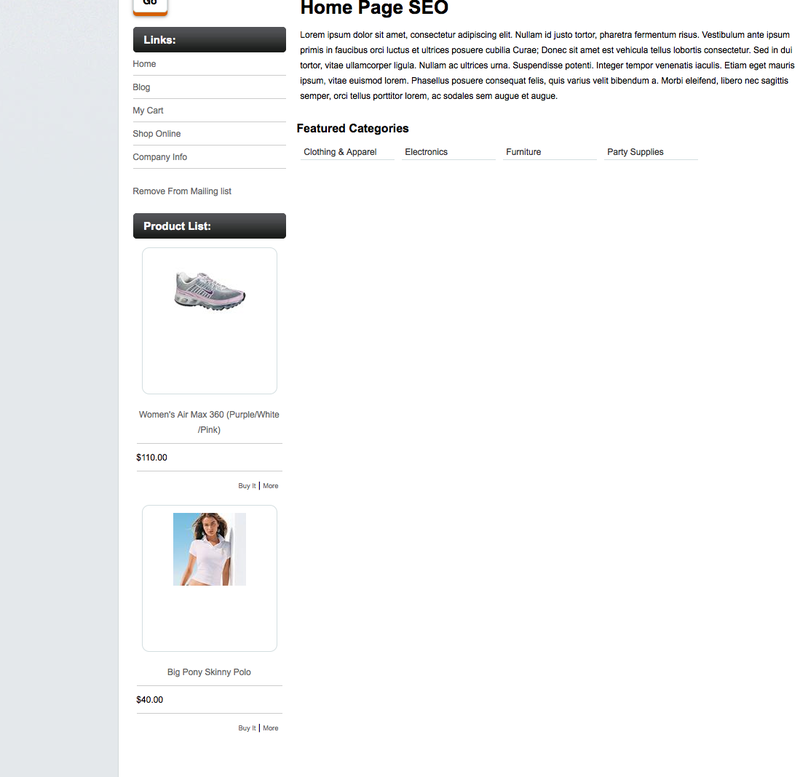 Product Lists offer a lot of flexibility and you can create any number of custom Product Lists. 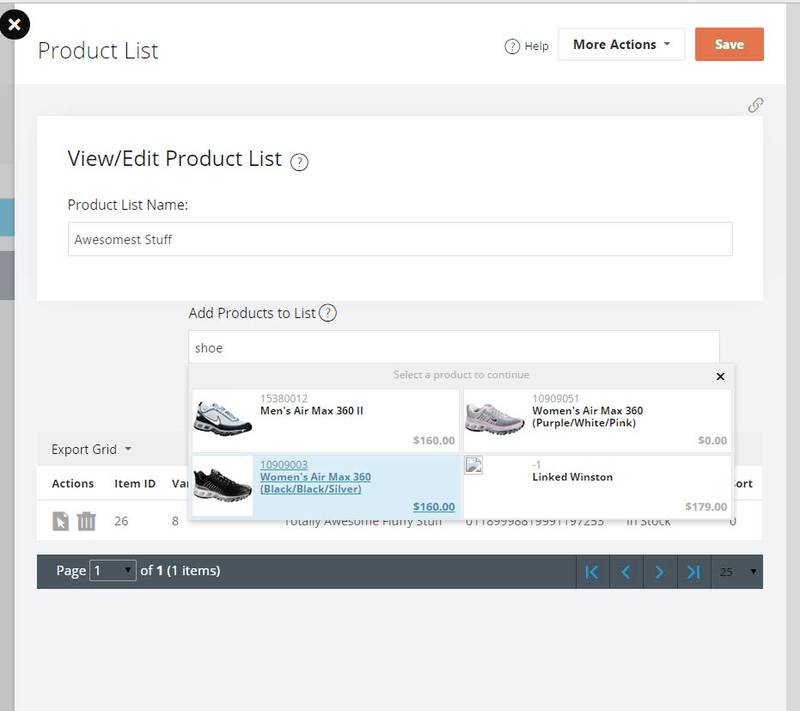 Navigate to Catalog > Power Features > Product Lists. Click "New" in the top right hand side. Enter a name for your Product List, then click Save. Close the overlay, then click on the Edit Icon. Search for the products that you'd like to add to the list. Click on the product name or image to add the product. Repeat Steps 4 and 5 to add as many products as needed. 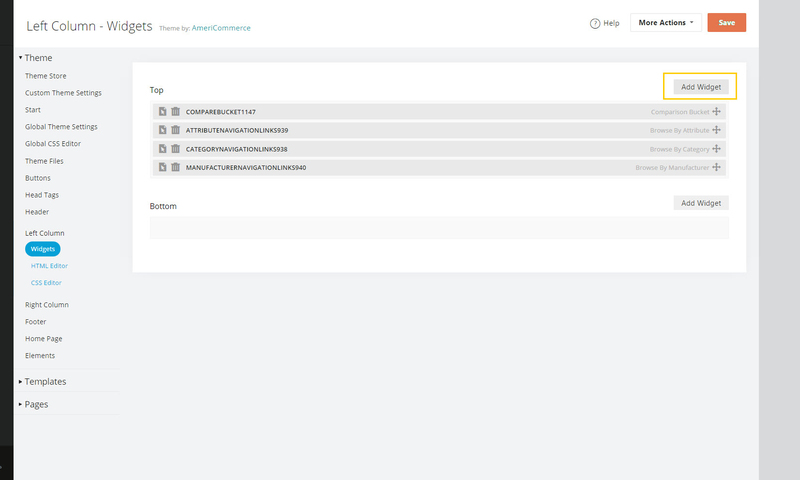 Go to the Themes menu, then click on the theme you're adding your Product List to. Browse to your preferred area (Header, Left Column, Right Column, or any other area), then click the Widgets button. 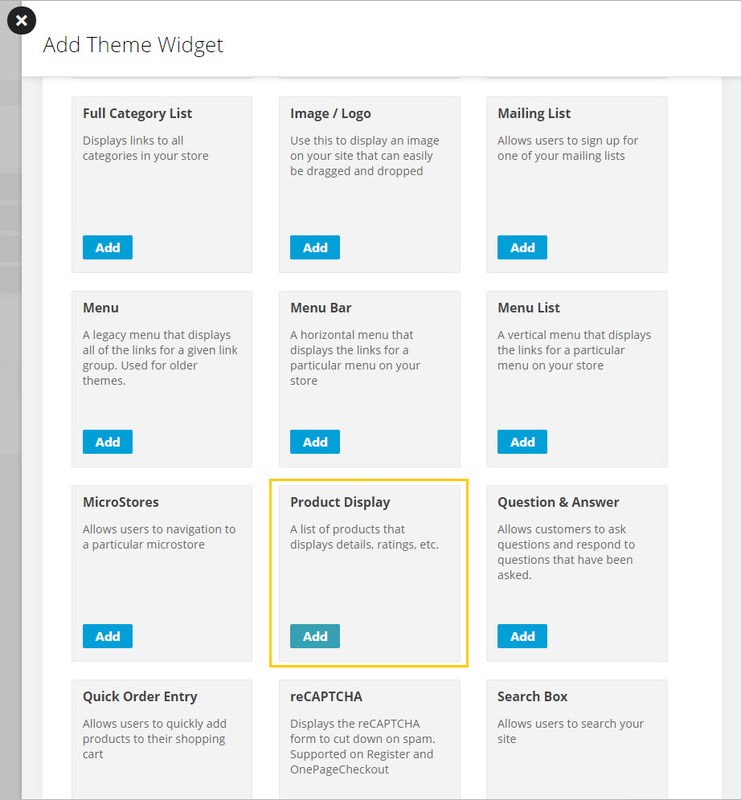 Click the "Product Display" widget under Available Widgets, then drag it to the desired Widget Area. Next, click the Widget Settings button. Scroll down to Product Display Options, then select "Product List" from the Product Display Type menu. 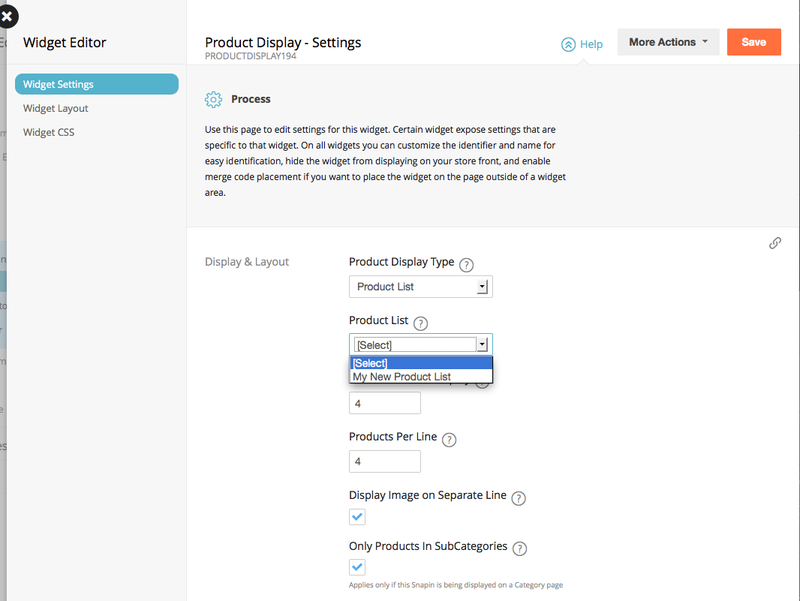 You can use the other product display options to style and customize the Product List Widget. Click either Save or Save & Return to finalize your changes. The products are displayed at random in Product Lists. By default four total Products are displayed and by default four are displayed per row. You may edit the total number of displayed Products and the number of Products per row. If you have more products in your list than the number set to display, they will be displayed 4 at a time and selected at random.